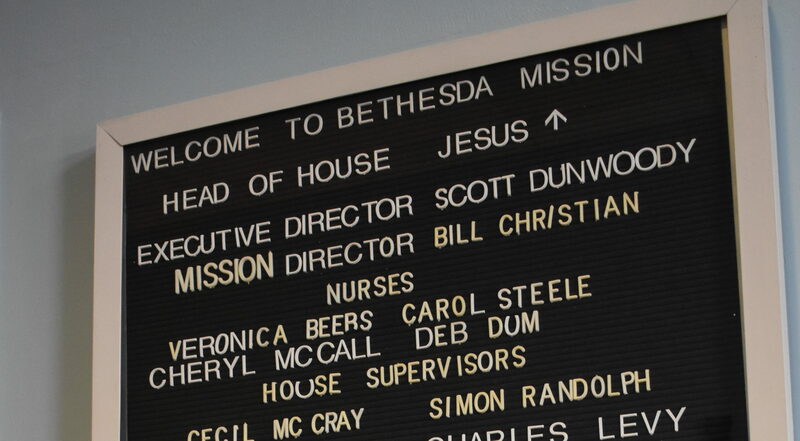 We often talk about the day-to-day activities around Bethesda like serving food, providing shelter, and facilitating classes, but I’d like to step back and take a look at the “view from above.” That sign reflects the first core value that’s been established for Bethesda Mission: Jesus Christ is our Foundation. 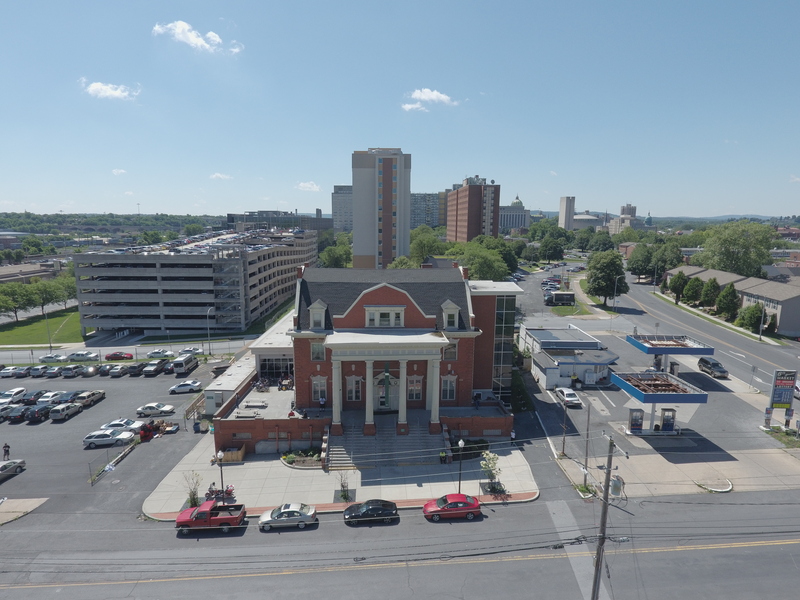 That value is meant to remain in sharp focus for our board of directors and staff as they make decisions and carry out tasks related to the Mission. After looking down at the earth from outer space, John Glenn once said, “To look out at this kind of creation and not believe in God is, to me, impossible.” That heavenly perspective only served to strengthen his faith. Sometimes, taking a step back (or up) to view the bigger picture, re-energizes and refreshes our sense of meaning and purpose. For Bethesda Mission, that purpose is to reach into our community with the message of hope through Jesus Christ available to every man, woman, and child regardless of circumstances. But how does this impact the way we minister to our guests in a practical sense? We certainly don’t have a requirement that one sit through a sermon before receiving a meal or spout a shallow profession of faith before given a place to sleep! John is a prime example of fertile ground. He came here with a number of challenges: drug and alcohol addictions, mental health concerns, and medical issues that ranged from being HIV positive to needing dialysis. These difficulties were working against him and needed to get under control before he was able to truly hear about a loving, redeeming savior. After that, John’s whole demeanor changed. You could tell that he had surrendered to God and was passionate about reorienting his life to follow Christ. His zeal was even noticed by an outside mental health counselor. 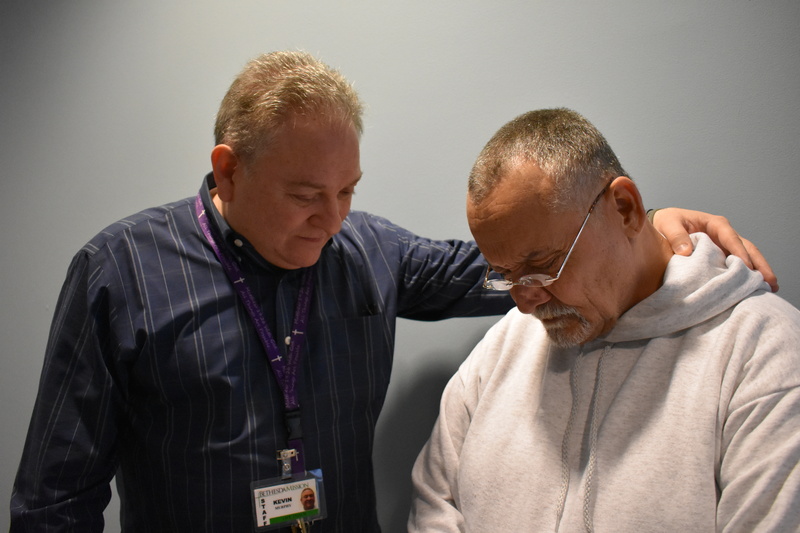 John had been telling his counselor all about how Jesus is the reason for his recovery. Thrown off, the counselor responded by telling him to “leave Jesus out of it.” Afterward, John became very troubled by that response. He went back to the counseling office and stuck to his guns insisting on the difference that his relationship with Jesus was making in his life. This conviction led to a profuse apology from the office and an acknowledgement, even in that secular environment, that Jesus Christ has the power to change lives. “This is what happens to a man when he captures the vision of Jesus Christ as our foundation,” Kevin explained after he finished telling me John’s story. Now, John has left the Mission successfully, having obtained a place of his own, equipped with the knowledge that “greater is He who is in you than he who is in the world” (1 John 4:4). My guess is that a lot of you are motivated to support Bethesda Mission exactly because of this core value. I know that most of our volunteers and all of our staff cite their faith in Christ as the motivation for continuing to do the good work that keeps this place going. Thank you for joining us with the passion to see lost sheep found and hurting people healed. God is faithful and shows up every day at the Mission – sometimes in big miraculous ways and some days in the form of a whisper. Either way, we know that He is ever present and fills all things, and that is where we put our trust.